Midweek Break: A Writer’s Workshop & A Book Giveaway! 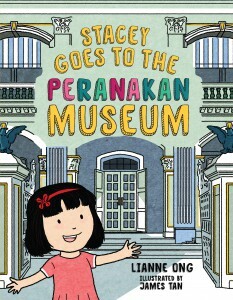 If you saw our post on Peranakan culture earlier this week, you might remember that I mentioned the book ‘Stacey goes to the Peranakan Museum‘ by Lianne Ong, which is part of an ongoing books series published in partnership with Singapore’s National Heritage Board. Lianne Ong, the author of the Stacey & the Museums book series, is actually going to be doing a very special writer’s workshop aimed at kids aged 7-10 years old at the upcoming Singapore Writer’s Festival held at the Asian Civilisations Museum. The workshop, Create A Stacey@ACM Adventure, will have kids exploring the galleries at the museum and coming up with their own Stacey story under Lianne’s guidance. Additionally, James Tan, the illustrator of the books, will be there to teach children how to draw Stacey and accompany their story with pictures. I am a big fan of creative writing, so I think this workshop sounds like a whole load of fun and a great experience for kids. At $5 for a 90 min masterclass with a published children’s book author, it is a real bargain! 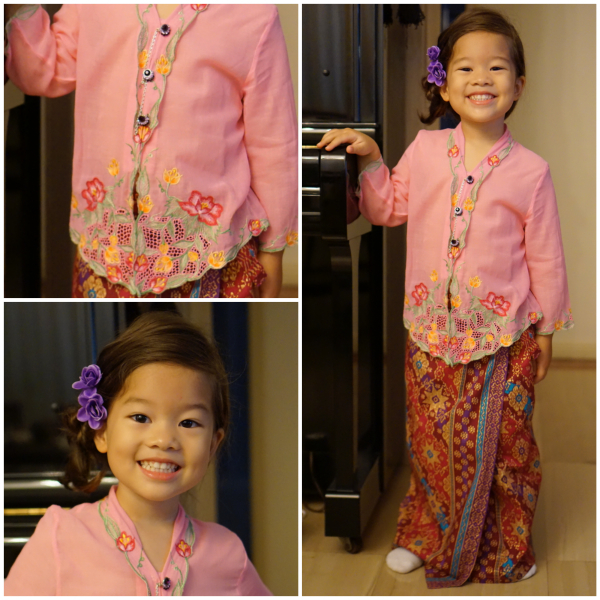 The workshop will take place on 8 November (Saturday) at 11:00am-12:30pm at the Asian Civilisations Museum. Tickets to the workshop and more information available here. If you already own a Stacey book, you ought to bring it with you and I am sure both Lianne Ong and James Tan will oblige you with an autograph if you ask nicely. 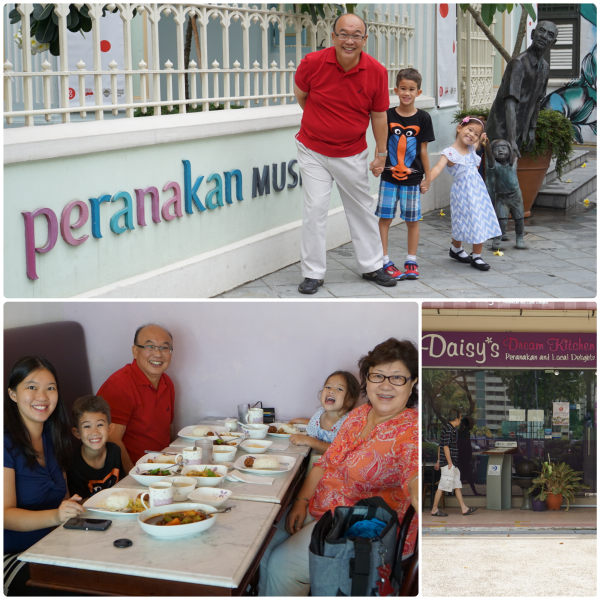 And if you don’t own a Stacey book yet, well, here’s a Special Something for Owls Well Readers: Armour Publishing has very kindly agreed to sponsor a giveaway of a copy of the book “Stacey Goes to the Peranakan Museum” to ONE lucky Owls Well Reader! Huzzah! Thank you, Armour Publishing! P.S. If you still aren’t convinced of how great this book series is, check out my review of the first book in the Stacey & the Museums series here – we liked it so much, we made our own book trailer! Here’s the deal about breastfeeding in the first few weeks: It takes practice and patience. And you’re not the only one learning on the job here – the baby is learning how to breastfeed too. It is unsurprising that breastfeeding is a challenge! These are the Motherhood Hacks that have helped me stay positive during my breastfeeding journey. I think women always push themselves far too hard trying to prove themselves, and this really shows when women try to take control and assert their independance as soon as the baby is out. I say forget all that bravado and embrace the anxiety and fear that you feel as a new mum! Act helpless as you feel because this is the time when nobody expects you to know how to manage and will be more than happy to jump in to help you out! This is especially important in the first few days after giving birth. Take advantage of the nurses and breastfeeding consultants in the postnatal ward. Don’t be shy! You will be surprised at what you can learn. Every time I wanted to feed the baby during the day or night, I asked one of the nurses on the ward to come and help. They helped me with everything from positioning to latching on and off, and I would ask them to come again if I wanted to switch sides. Each nurse I came across had a slightly different technique for getting the job done and different advice as well. This helped me figure out what worked best for me and for each baby. I doubt I would have been able to learn as much if I’d put up a brave front and tried to do everything independently from day one. Okay, I know that breastfeeding is supposed to be the time when you bond with your baby, but when baby is really really tiny, especially in the first few weeks before your milk flow really kicks in, chances are that he or she takes a really long time to feed. Maybe 40 minutes, maybe even a whole hour. And they’ll have their eyes closed most of the time as well so it’s not like you can stare deeply into their eyes and attempt to communicate telepathically with them. You are going to be bored and tired, especially during the night when all the world is asleep except you and the baby. I had to resist the urge to unceremoniously call an end to feed time after 20 minutes of crushing boredom. Portable entertainment devices like a portable DVD player (with headphones) or an e-reader will be your path to maintaining sanity. With J, I watched the whole series of Battlestar Galactica and with Little E, I watched The West Wing! With Thumper, I decided to Expand My Mind Through Reading. I’ve installed a free e-reader app on my phone which allows me to borrow e-books from the library. The National Library Board in Singapore has a great range of reads in their electronic catalogue, including newspapers and magazines. This way, I have already read over a dozen books in the last couple of months since Thumper was born! Yay, me! Motherhood Hack #3: Let your husband sleep at night. Seriously, if you’re breastfeeding, what do you need him awake for? You have your e-reader to keep you company, and the less activity there is at night, the better. There’s no sense in the both of you being awake, especially if you have other kids who will need attention during the day. Learn to nurse in a reclining or semi-reclining position, or what I like to call, Cleopatra-style (extra points if you can do it whilst looking like this). This really helps me if I need to power nap during the day or risk turning into a Giant Squid of Anger at the slightest provocation. The only danger about doing this at night is that you’ll probably fall asleep with baby still latched on. Not necessarily a bad thing, as baby will eventually latch off, but if you’re anything like me, you might forget to change sides. Never forget to change sides. As much as I love my nursing bras, I always found the clips and drop down cups a total pain…and nursing bras can be so expensive as well! I used to hate fiddling about with clips on straps and the fact that my breast pads kept falling out from the drop-down cups. Additionally, readjusting everything back to the way it was is nigh impossible to do one-handed, in public, with a squalling infant. It was all so inelegant. So, I have done away with nursing bras altogether, instead I am currently using tank tops or camisoles that come with built-in bra shelves with cups and are not necessarily sold as ‘nursingwear’. Instead of fiddling around with clips and drop down cups, I just pull the neckline of the tank top or camisole down on the side that I’m planning to feed on – quick and simple. The best tops I found for this purpose are the Airism Bratop range from Uniqlo. They are comfortable, look good, support the girls, maintain their shape well and are great for layering under clothes. Best of all, they are designed to wick moisture away from the body, so you can keep cool and dry whilst breastfeeding, which is a sweaty business. I have a whole bunch of these that I bought when they went on sale (they cost under SGD$30 at full price but when they go on sale you can get them for SGD$15-20), and I can see myself continuing to love them even after I’ve stopped nursing! Have you got a great breastfeeding Motherhood Hack? Share it with me in the comments! Midweek Break: Homestar Runner is BACK! I am SO happy to see that HomestarRunner.com, is back, back, back, back again, and is live and running on Youtube! HomestarRunner.com used to be one of my favourite online haunts before Youtube. It’s biggest feature was the utterly hilarious flash animation cartoon series, Strong Bad Emails, where the cartoon character Strong Bad (because he is Strong and Bad, duh) would answer emails from viewers. The site itself started off in 2000, but I only became a fan in 2004, just after graduating from medical school. Every Wednesday without fail, I would run home from work and log onto my computer for a new Sbemail. Whilst watching it, I would laugh myself silly and this injection of energy would carry me through to the end of the week. Okay, I know that A Becky Lee discovered Strong Bad emails way before I did, but the person who actually introduced me to the site was the Aged P. She’d come up to the UK to visit me and we were chatting in my living room one evening. Debs G: What’s Meimei doing nowadays? Aged P: Ah the usual. Everyday she goes on the computer and watches the internet. Debs G: What website is she looking at? Aged P: That thing, you know, the cartoon with the guy called Something Bad who wears a mask and talks in a scratchy voice like “Rarr rarr rarr rarr”. Debs G: You mean Batman? Aged P: No, not Batman. That guy. With the mask. He wears gloves and types on a computer and his name is like “Something Bad” and he has a pet, a yellow one which goes “weekweekweek”. It’s quite funny. Up pops HomestarRunner.com and the Aged P points to the name “Strong Bad” in triumph. We click on it, and here’s the first Strong Bad email I ever watched. The Aged P and I laughed ourselves silly and proceeded to watch video after video. Oh yes, I was completely hooked. And of course, who could forget the infamous Trogdor the Burninator? I was so sad when the site stopped its regular weekly updates around 2009. This was because Matt Chapman, one of the Brothers Chaps who created the site and all its content, became the writer and director of the currently popular children’s programme, Yo Gabba Gabba (which, by the way, bears a striking resemblance to this Sbemail). I haven’t introduced the kids to Yo Gabba Gabba yet, but I am thinking about doing that soon! Hey! It’s been a long while since I last posted a gardening update. Plants take a long time to grow. But now, I have lovely news! Yeah, that’s right. I’ve just pulled in a bumper crop of purple carrots from the garden! 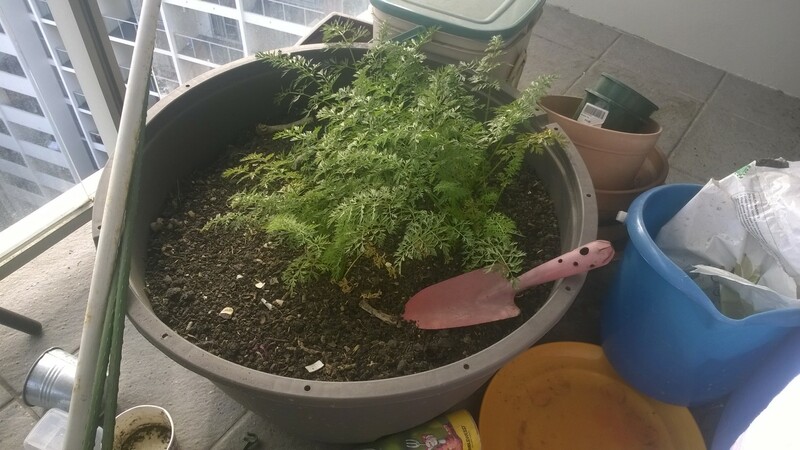 The fun thing about growing carrots is that they make an absolutely satisfying “Pop” sound when you pull them out of the ground. Purple carrots are especially fun because they’re quite long and thin, so they always leave a little carrot shaped indentation after you’ve pulled them out. They’re also very easy to grow. Just sprinkle the seeds into a big (and deep) pot and water whenever you feel like it. 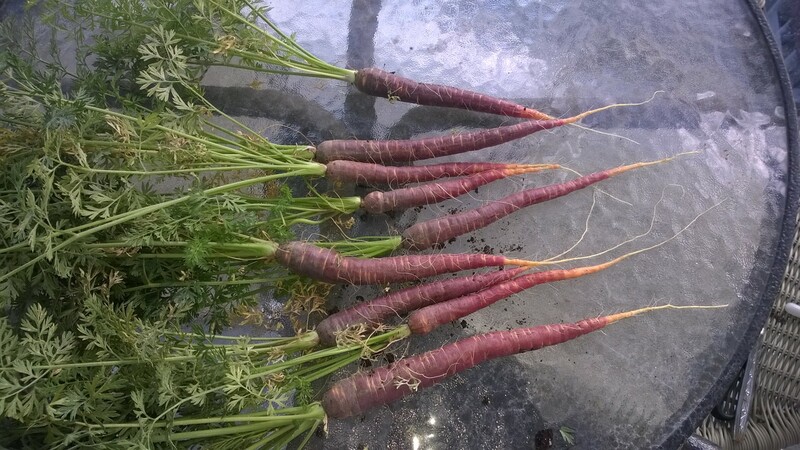 Purple carrots thrive a little in your neglect – just poke the soil a little with a finger every once a week or so to make sure that the soil is dampish when growing them. Purple carrots are very healthy, by the way. They’re apparently the next superfood, containing more beta-carotene than the modern orange carrot and having anti-inflammatory properties. There are several different varieties, some of which are more purple than others. Mine were vivid orange on the inside and tasted less sweet but more “carroty” than orange carrots. They were delicious in the pasta sauce I made. By the way, here is my recipe for delicious Carroty Bolognaise Sauce! Add minced beef, brown it. Enjoy with spaghetti (or any pasta of your choice)! 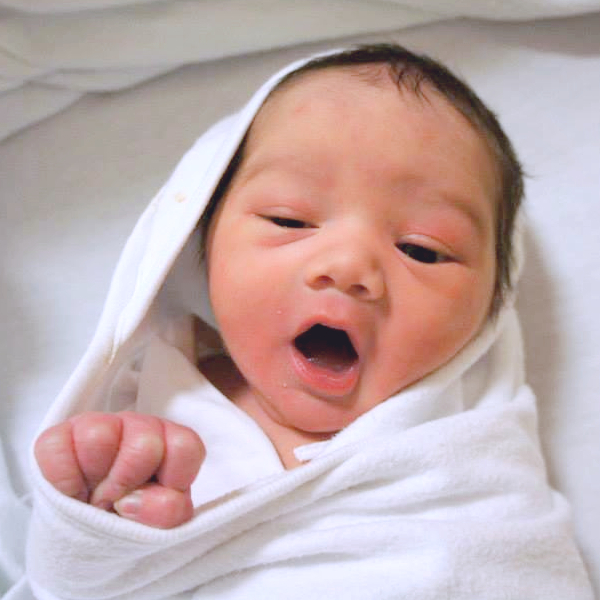 Midweek Break: A Baby K’tan Active giveaway! Happy Coast Kids has kindly offered to sponsor a giveaway of one Baby Active K’tan carrier (worth SGD$94.50) to one lucky Owls Well reader! Huzzah! 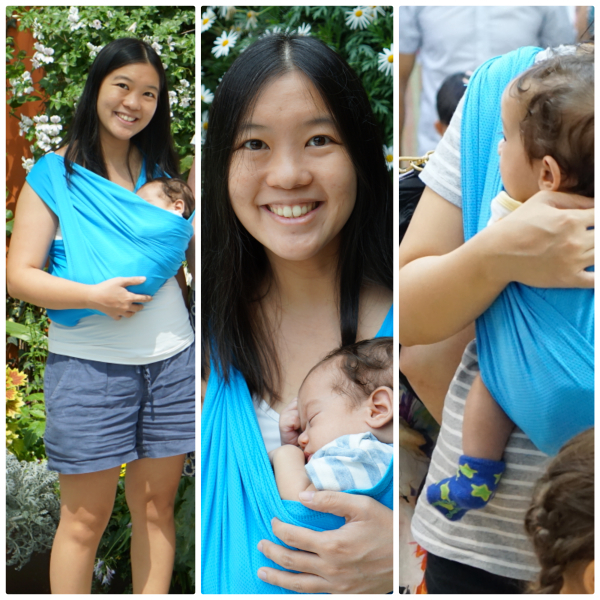 I love my baby slings and carriers – they are just one of the best baby gear investments that I’ve come across. I find baby wearing just so much easier than lugging a stroller all over the place, and if any of my tired little babies had trouble settling, just a few minutes in the sling would do the trick of lulling them into a deep slumber. Not long after Thumper was born, a local mumpreneur asked if I would like to review the award-winning Baby K’tan carrier which is the anchor product in her webstore, Happy Coast Kids. 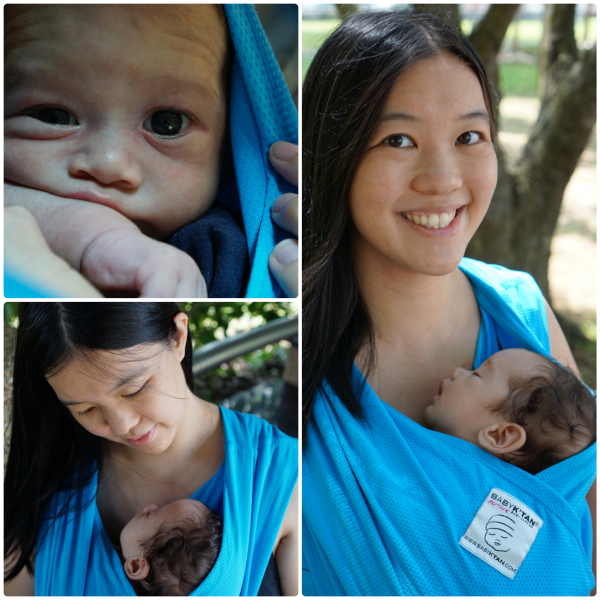 I am so glad that she asked me to try it out, because the Baby K’tan is now my favourite piece of babywearing gear, combining the best features of a structured baby carrier with that of a lightweight cloth wrap or sling. I have been using the Baby K’tan since Thumper was a month old, and I love it so much – I just wish I’d discovered this sooner! The Baby K’tan comes in a variety of materials and colours, but I selected the Baby K’tan Active in a cool shade of Ocean Blue. This particular model is made from a very silky hi-tech performance fabric which wicks away sweat from the body (that is the fancy way of saying that it is similar to the dri-fit 100% polyester commonly seen in sportswear) which is machine-washable and dryer-safe as well as free from harmful chemicals, formaldehydes and azo-dyes. Getting hot and sweaty whilst babywearing is one of the biggest problems that I face, especially in Singapore’s climate, so I was very excited about the lightness of the fabric and its unique temperature control properties. This fabric also blocks UVA and UVB rays, which makes it great for outdoors too! Thumper is rather a sweaty baby and seems to get hot quickly, but I have noticed that he does not overheat as much in this sling as J and Little E used to do in my other slings. This means that he is quite able to take very long naps in the sling (sometimes up to a full 2 hour nap) when I am out and about, because he does not wake up feeling warm and sticky. I find that I am able to carry him in the sling for a longer period of time too, as I don’t get hot and tired as quickly myself. Additionally, the sling is designed so that the baby’s weight is evenly distributed across both shoulders and across my back, so that I can maintain good posture. I can also spread out the fabric widely over my shoulders to further distribute Thumper’s weight so that I get less fatigued. I love my Baby K’tan Active! One of the great design features of the Baby K’tan is that it needs very little adjustment – there are no hard rings or buckles to grapple with, and no long straps to fiddle about with. I have been experiencing carpal tunnel syndrom due to postpartum water retention and the subsequent pain and weakness in my hands has made it difficult for me to properly adjust my trusty sarong sling. I am so very glad to be able to avoid all the pulling and tugging with the Baby K’tan to get it to support Thumper in such a way that both he and I are comfortable. All I do is gently slide him into the sling and we are ready to go! The Baby K’tan allows me to carry Thumper in a variety of positions as he grow older. At the moment, I have only tried 3 out of the 7 possible positions (as he’s still too small for the other carrying positions), and they have worked very well. The sling packs up really tiny, into it’s own little bag (which can be converted into a sash for additional waist support), and takes up much less room than my usual ring sling, not to mention a structured carrier. The only drawbacks that I found with the Baby K’tan Active are rather minor ones, related to the fact that the Baby K’tan has a fixed sizing, like clothing. I have the Baby K’tan Active in size small, because I’m, well, small. The Barn Owl is much taller and broader than I am so we are not yet able to use the same sling. Saying that, the Barn Owl has been watching his weight recently, so he may well slim down to such an extent that we can share the same sling! That would be awesome because it’s always nice to be able to take turns carrying Thumper, which will become more important as he gets bigger and heavier. I am also not able to breastfeed Thumper whilst ‘on the move’ as I cannot loosen the sling enough to do this comfortably and discreetly. However, I have taken Thumper out of the sling and used the Baby K’tan Active as a makeshift nursing shawl when I don’t have anything else handy. The Baby K’tan Active can carry kids up to about 16kg (35lbs, to be exact), and the cross-stretch of the fabric along with the different carrying positions will allow me to use the same sling as Thumper grows, so I foresee that I will be happily using it for a LONG time!